Coverage: Live commentary on BBC Radio 5 live, the BBC Sport website and BBC Sport app, with live text commentary online. 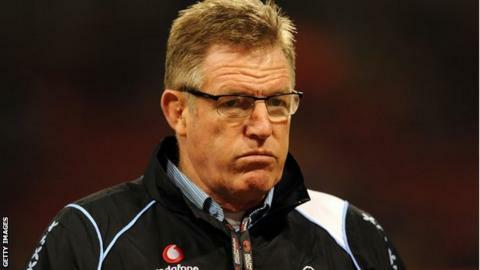 Fiji coach John McKee has named three Britain-based players in his team for Friday's World Cup opener with England. Leicester's Vereniki Goneva, Bath's Nikola Matawalu, and Glasgow's Leone Nakarawa will all start against the hosts at Twickenham (20:00 BST). Ospreys fly-half Josh Matavesi, London Irish wing Asaeli Tikoirotuma and new Worcester lock Tevita Cavubati are named among the replacements. Ben Volavola is preferred to Josh Matavesi at fly-half. England coach Stuart Lancaster has selected the same team that started the World Cup warm-up match with Ireland. Friday's Pool A match will be played in front of a sell-out 82,000 crowd. Fiji: Metuisela Talebula; Waisea Nayacalevu, Vereniki Goneva, Gabiriele Lovobalavu, Nemani Nadolo; Ben Volavola, Nikola Matawalu; Campese Ma'afu, Sunia Koto, Manasa Saulo; Apisalome Ratuniyarawa, Leone Nakarawa; Dominiko Waqaniburotu, Akapusi Qera, Sakiusa Masi Matadigo. Replacements: Tuapati Talemaitoga, Peni Ravai, Isei Colati, Tevita Cavubati, Peceli Yato, Nemia Kenatale, Joshua Matavesi, Asaeli Tikoirotuma.